I always struggle to find the perfect Mother’s Day gift, do you? (Don’t even get me started on Father’s Day gifts, yikes!) I realize that all mother’s are different and what they want (and don’t want) varies. But today I am excited to share a mother’s day card and a mother’s day gift idea that is a little different. I know that many women don’t want vacuums or tools for mother’s day, but some of us (me!) 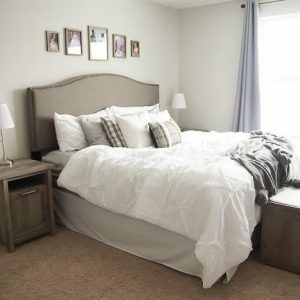 would LOVE a new tool for Mother’s Day! 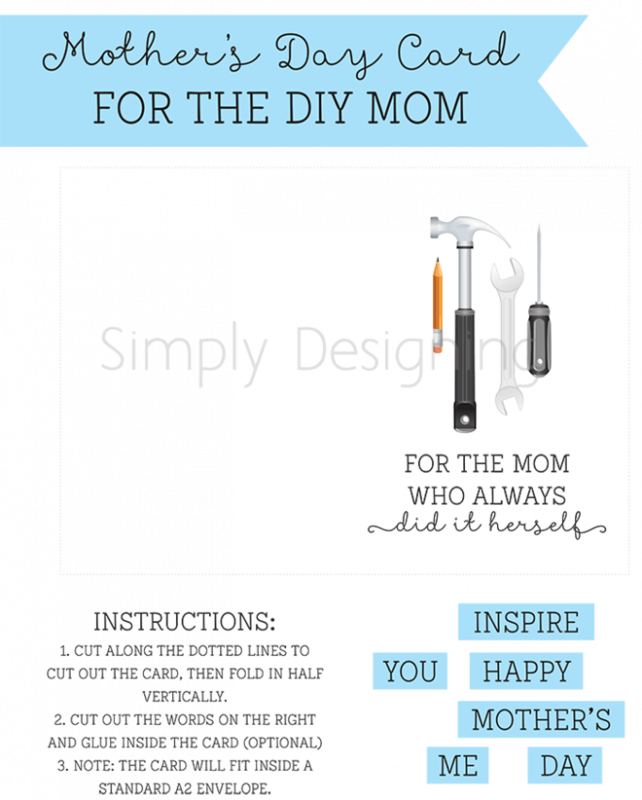 So here is a cute Free Mother’s Day Card Printable and a Mother’s Day Gift Idea for the DIY mom! 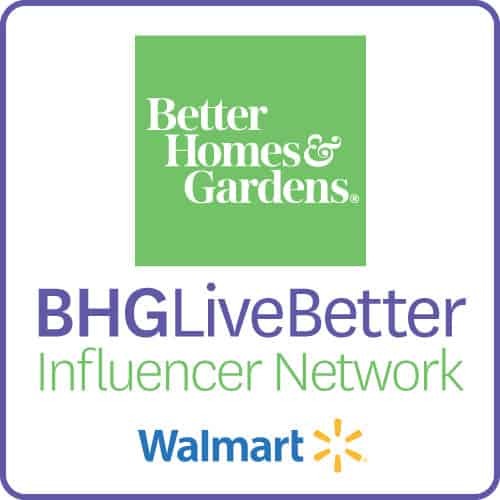 Plus an awesome power tool giveaway too! Woot woot! With Mother’s Day right around the corner it is a perfect time to begin thinking about what to get your mom. 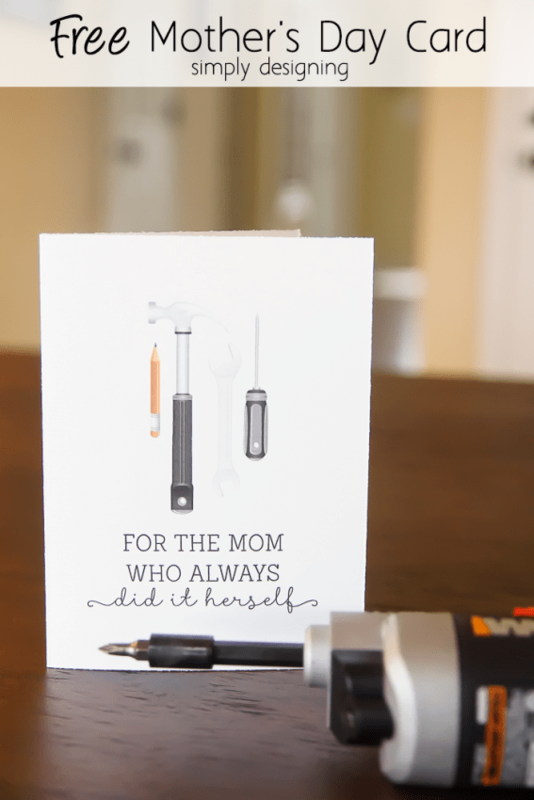 And for the mom who always does things herself (you know, the one who takes out the garbage and who changes the light bulbs, the mom who fixes the toilets and builds her own shelves, ya, that mom) I have you covered! Isn’t this card absolutely adorable!? A big huge thank you to Paperelli for designing this cute Mother’s Day Card for you to download for free! Woot woot! Isn’t she amazing!? 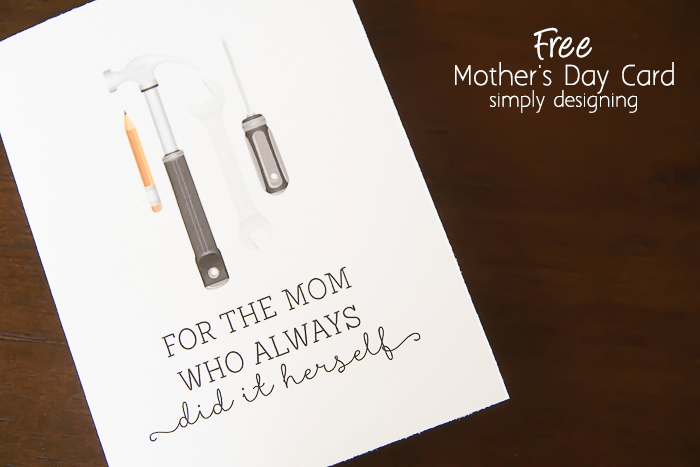 Go HERE to download this Free Mother’s Day Card! You Inspired Me or a simple Happy Mother’s Day! Or both. Or none. 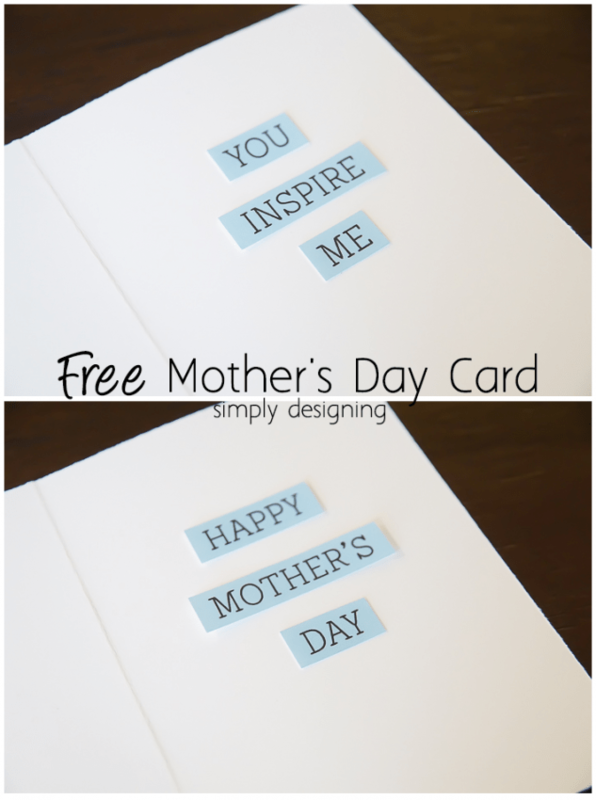 This card is really neat because you get to DIY the inside yourself! You can download this free Mother’s Day Card HERE. 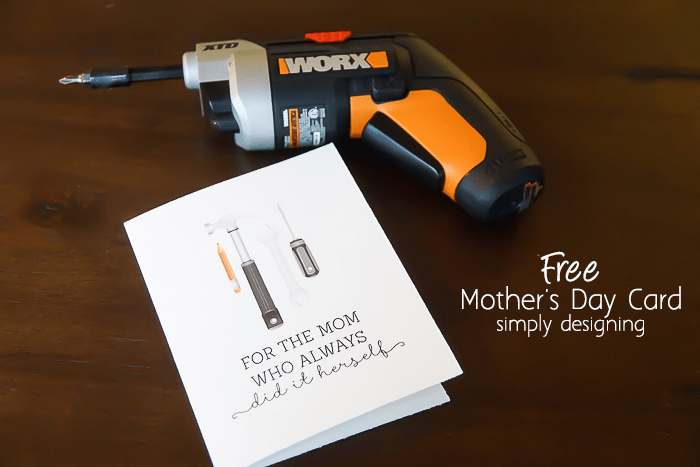 And of course this card is best when paired with a POWER TOOL! Woot woot! A big thanks to WORX for sending me these tools for purposes of this post. All opinions are mine. 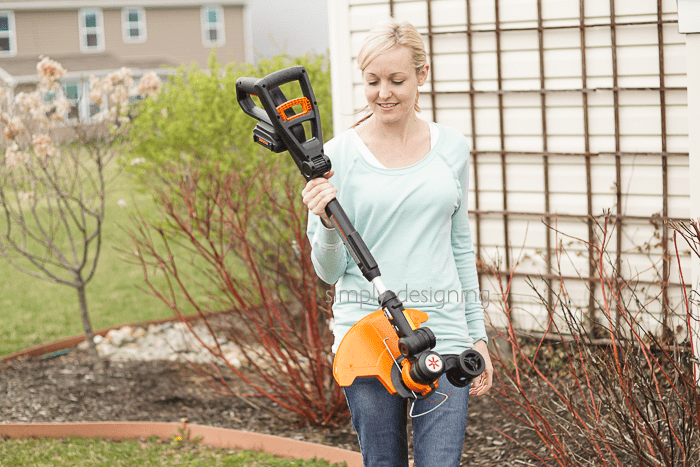 I was sent a WORK 4V XTD Extended Reach Driver and the WORX 20V MaxLithium Grass Trimmer and they are both awesome! They would also make amazing gifts for a handy mom. First of all, I am in love with the WORX 4V XTD Extended Reach Driver! And you can tell by my smile! 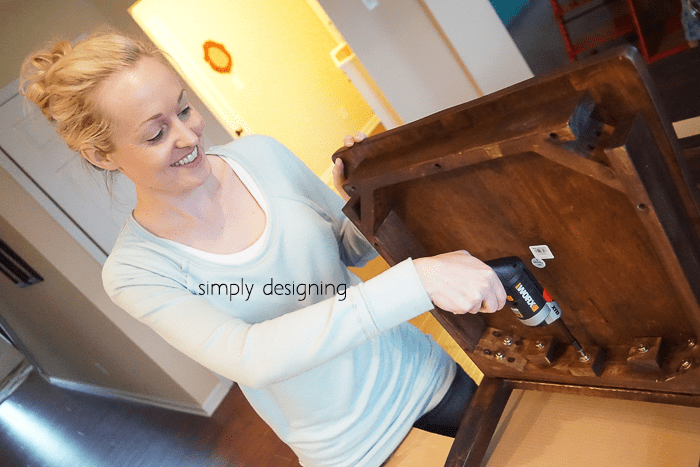 After hand-screwing together several chairs, we realized that the WORX Extended Driver would be perfect for this job! None of my other power tools could do this job but the Extended Driver helped us put together the rest of our chairs in less then half the time and with very little effort! This saves us tons of time and energy and was a life saver! 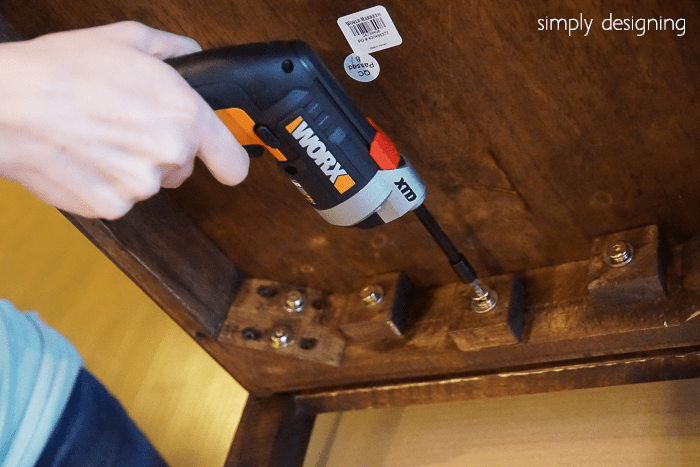 I love that this battery powered screwdriver has an extendable drive shaft that can extend up to 2″ to get into hard-to-reach places. It is really awesome! 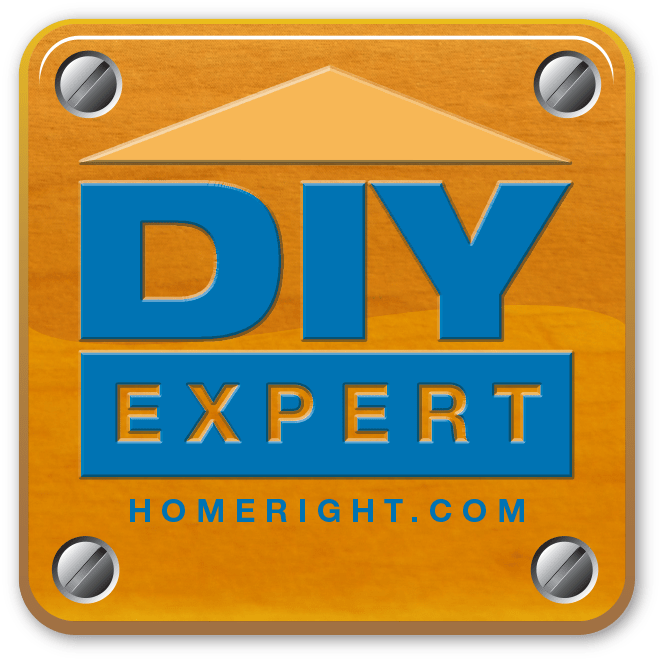 And I can think of several other times when I wish I had this tool to help make certain jobs easier! 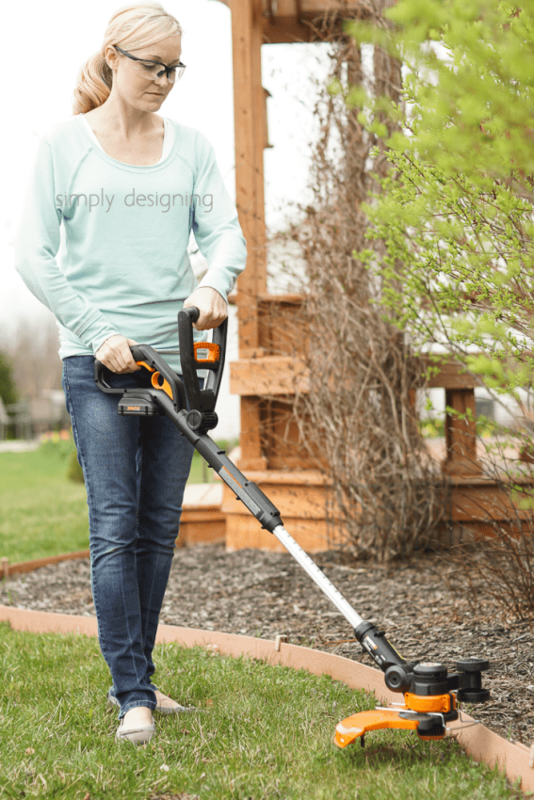 WORX also sent me their 20V MaxLithium Grass Trimmer. Our weather is finally warming up and our grass is just beginning to turn green so this is the first weekend that I was about to pull this out! But I was excited to give it a whirl. But I already love it! I love that it is battery operated so that I never have to worry about gas or oil! Plus is only weighs 5.3 pounds so it is really light weight! And the shaft is height adjustable which is so nice! 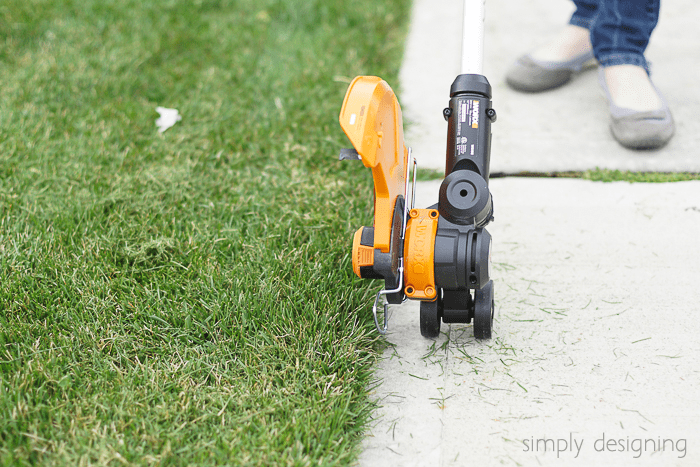 There are a few other features that are amazing too like the wheels that make edging so simple! And the fact that the head pivots to make this perfect for edging or trimming! 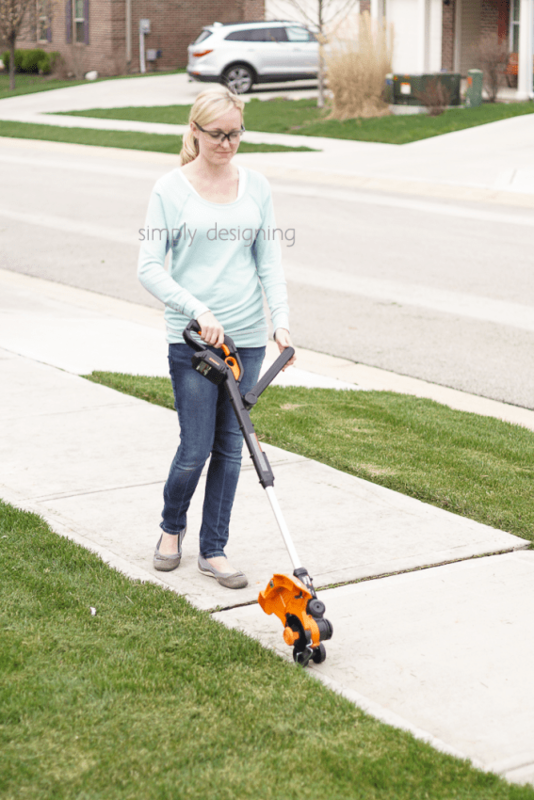 It is such a neat grass trimmer! 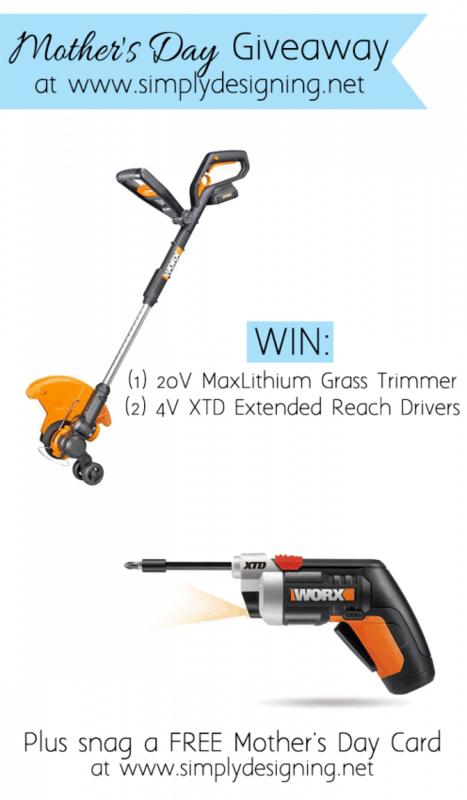 And I am so thrilled that WORX has so generously offered to GIVEAWAY (1) WORX 20V MaxLithium Grass Trimmer and (2) WORX 4V XTD Extended Reach Drivers (one for you and one for mom!)!! Woot woot! This is the perfect gift to keep for yourself or give to your mom for mother’s day! This is soo great! Could definitely use that grass trimmer for my own yard! 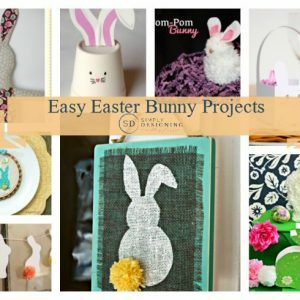 These tools look so great and love the printable! I would love to have this for myself! Cute card!! Great give-a-way! Thanks for allowing me to try and win it! 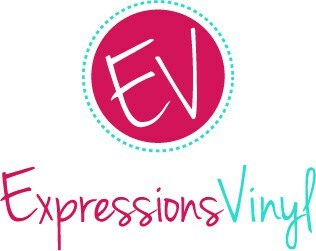 Love your free printable! I am a mom who tries to do it herself but gets frustrated half of the time. Seriously I tried to put on those baby locks on the cupboards but they never lined up for me once. argh! But thanks for the freebie! Super cute. Ok. I want this…no wait…I NEED this! Thanks for the giveaway.